UNIQUE PROPERTY ON MAIN STREET! 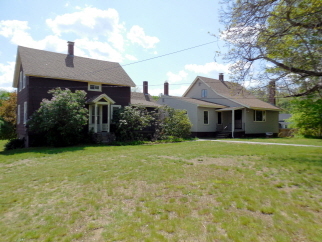 Very interesting property on desirable Main St in historic Sturbridge! Two separate houses on one 4.9 acre lot! Massive center island, spacious family room with custom stone fireplace surround, HUGE sunroom with wraparound deck! Fenced, in-ground pool, 3 stall barn and pool house all on 4.9 acres! Perfect for the car enthusiast! 3 stall detached garage in front, including a custom concrete ramp and drive thru bay and 2 car detached garage in back!